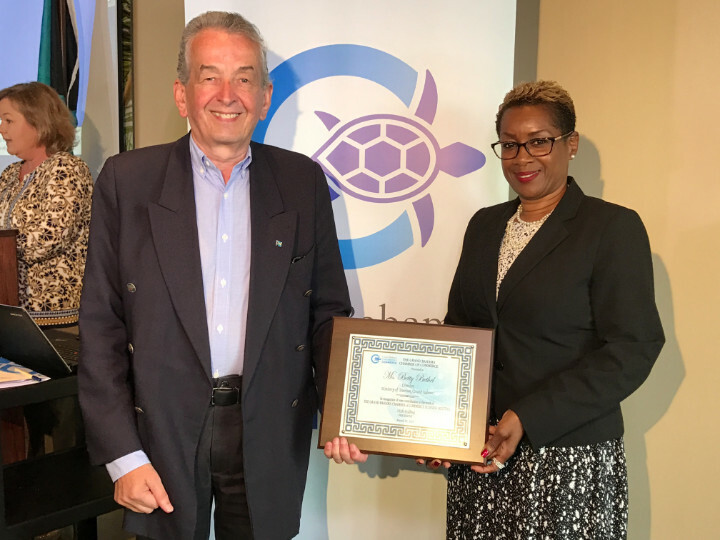 Freeport, Bahamas - Grand Bahama Chamber of Commerce President Mick Holding presents Betty Bethel from the Ministry of Tourism with a commemorative plaque in honour of her presentation on the current state of tourism in Grand Bahama at the March business luncheon held at Pelican Bay on Wednesday, March 22nd. 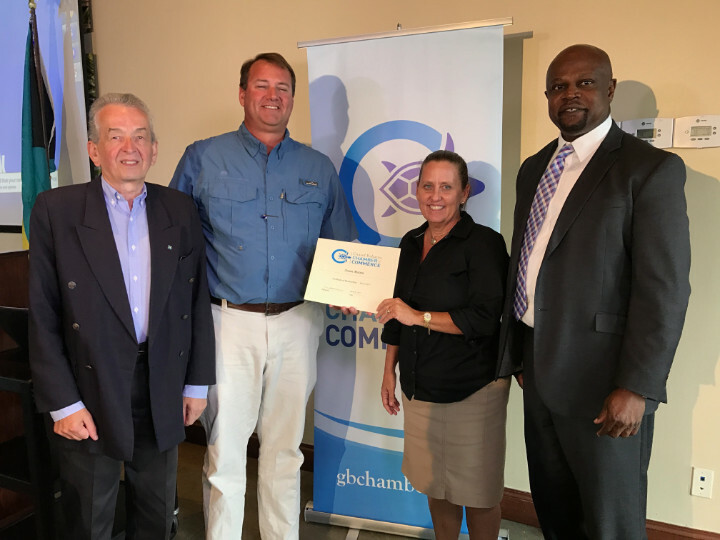 Mrs Sarah Rolle from Ocean Motion Watersports receives a Grand Bahama Chamber of Commerce Membership Certificate from Chamber President Mick Holding (left), 1st Vice President Dan Romence (second left), and 2nd Vice President Lawrence Palmer (right). 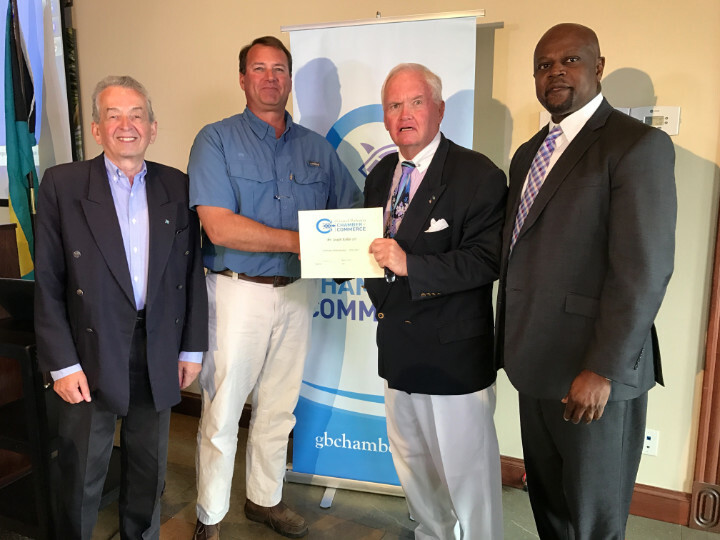 Mr. Joseph Kholler II (second right) receives his membership certificate from Grand Bahama Chamber of Commerce Vice President Dan Romence (second left) while President Mick Holding (left) and 2nd Vice President Lawrence Palmer (right) look on. 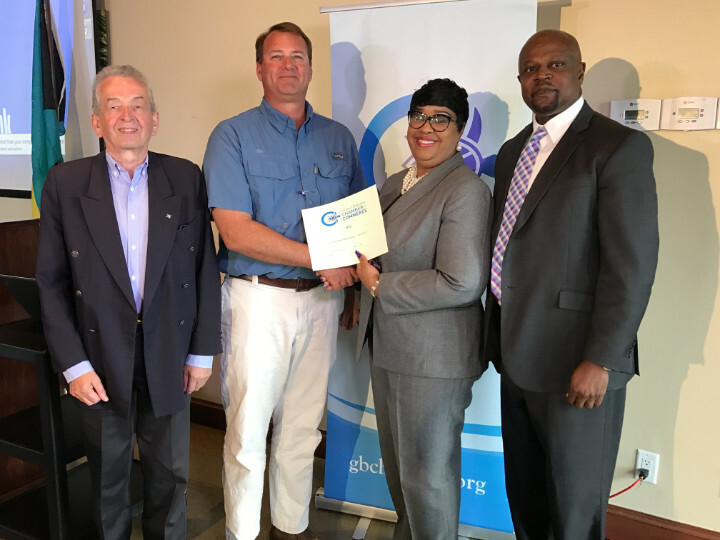 The Grand Bahama Chamber of Commerce proudly presents a new member certificate to Ms. Ethel Laing of the Bahamas Telecommunications Company.